Adaptor-20 is multi sided. See below for dimentions and a list of aircraft. 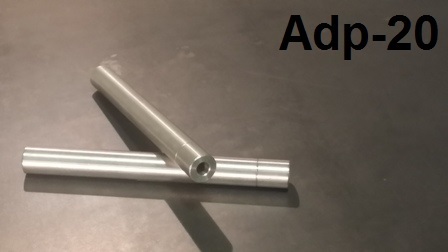 All-steel adaptor. Contains 2 reversible adaptors. .75 OD with one end bored to .340 ID and the other end bored to .270 ID.